Danielle Kaye Margulis is a CERTIFIED FINANCIAL PLANNER™ and Portfolio Manager at Meyer Capital Group. She creates financial needs assessments and full financial plans for MCG clients. Danielle also serves on the SEC Committee. 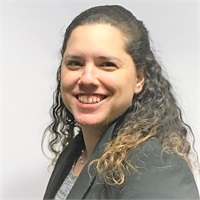 Danielle has more than ten years in the financial services industry and previously worked at Pennsylvania Capital Management and Pinnacle Financial Advisors (now RTD Financial Advisors). Inspired to help her clients achieve their lifelong goals, Danielle is a member of The National Association of Personal Financial Advisors (NAPFA). She is a graduate of the University of Maryland, where she earned a Bachelor of Science in Finance and a Bachelor of Science in Human Resource Management. She furthered her education with an advanced certification as a CERTIFIED FINANCIAL PLANNER™ from the College for Financial Planning in Denver, Colorado. Described by friends and family as dependable and persistent, Danielle is determined to accomplish her goals and exceed her own expectations. Away from the office, Danielle appreciates every moment spent with family and friends. She particularly enjoys traveling and being a foodie.